Purchase. 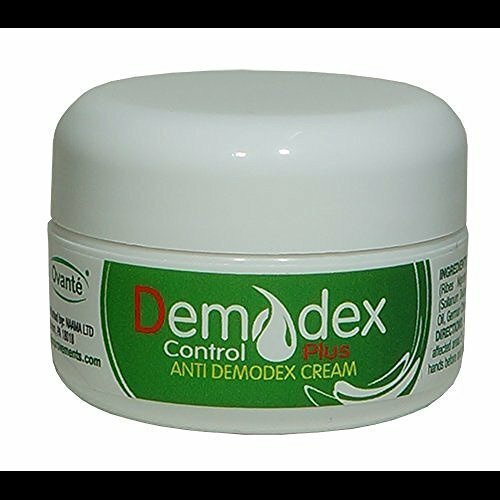 Demodex Control® PLUS therapeutic, deep penetrating, natural cream. This product was formulated to aid with treatment of severe demodicosis - the disease caused by microscopic parasites which live on human skin, in hair follicles and inside sebaceous glands. Unlike regular Demodex Control® Cream, The PLUS fortified and infused with additional amount of essential oils & herbal extracts to guarantee fast and positive treatment. It is proven be effective against adult acne, whiteheads, blackheads, blemishes and facial redness (demodex rosacea). In addition to Tea Tree, Lemon Grass and other essential oils, Demodex Control® PLUS contains vitamins, natural plant extracts to revitalize and restore demodex prone skin. This cream effectively treat most severe form of demodicosis, stop & keep under control reproduction of mites population.